Home » Our Doctors » Ronald Hiura, O.D. 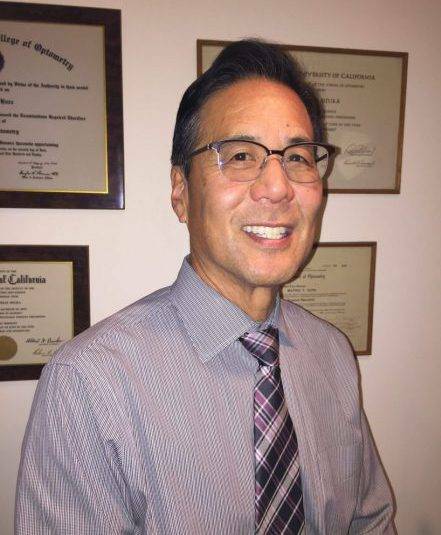 Dr. Ronald Hiura graduated with honors from Southern California College of Optometry. Prior to that he graduated from University of California, Berkeley with a BA in Zoology. He has been in private practice for over thirty years. He is a member of the San Francisco Optometric Society, California Optometric Association, and American Optometric Association. Dr. Hiura is a avid golfer, a huge bay area sports fan and he also loves to travel. Rated one of 2015’s top San Francisco Optometry practices. Congratulations Drs. Hiura & Hiura Optometrists!